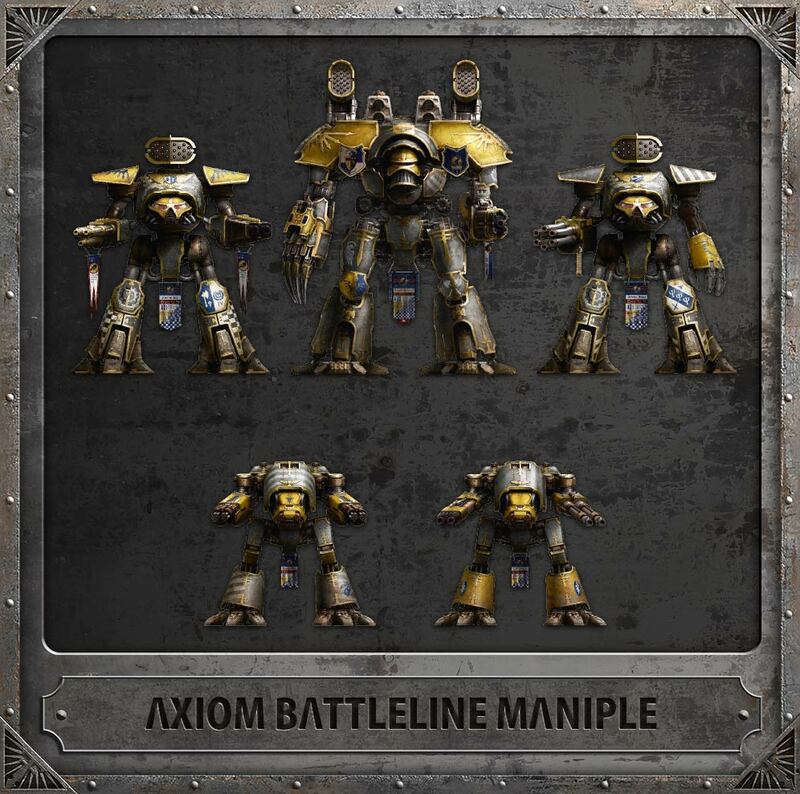 Reaver Titans are coming to Pre-Order this weekend and that couldn’t happen soon enough. 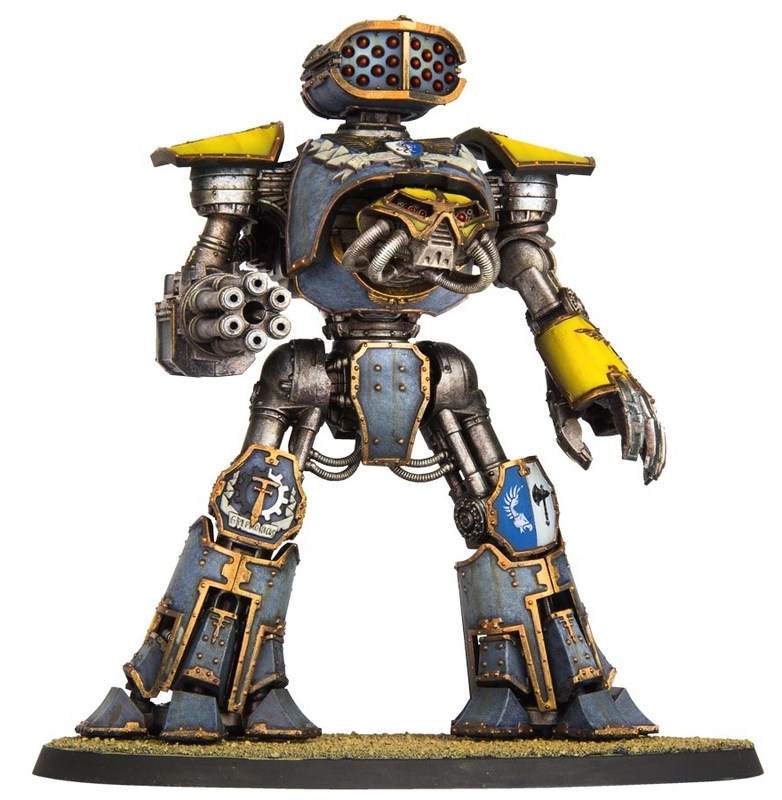 Why is the Reaver so pivotal for Adeptus Titanicus? Because it’s the Titan for every occasion! Adeptus Titanicus is a game that is all about massive Titans smashing and shooting each other into smoldering piles of rubble. These god-machines go at it in maniples of Titans and it’s up to the cunning Princep to lead their side to victory. As the game has now launched and there are Warlord Titans and Knight Banners in the wild, the game still has two Titan-sized holes to fill: The Reaver and the Warhound. The good news is that Reavers are on the way. I’m personally thrilled that they are hot on the heels of the core release. 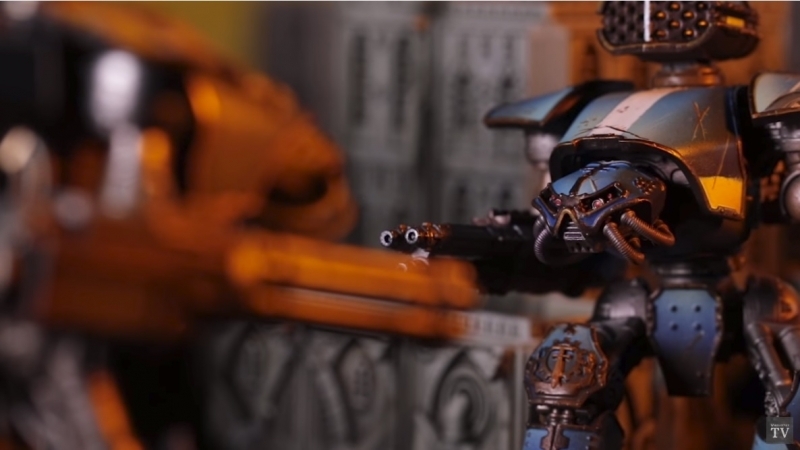 I’ve made my stance known: delaying models for Adeptus Titanicus would have been bad for the game. I also think that the Reaver is perhaps the more important of the two Titans to come out. 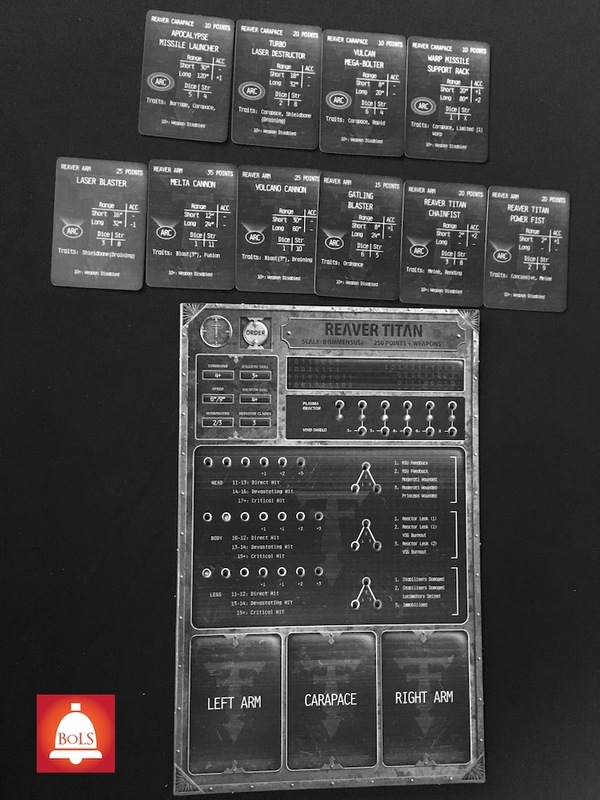 The Reaver has been described by GW as the workhorse Titan. It’s doesn’t have the full firepower of the Warlord, but it’s got more speed. And anyone who has the Grandmaster Edition can tell you, the versatility of the Reaver cannot be overstated. One of the big advantages the Reaver has is that it’s carapace weapon can fire full 360° – combine that with more speed and the ability to turn more than the Warlord and you’ve got the grounds for a solid choice across all types of battlefields. We’ve seen first hand that the Warlord’s turn radius can cause it to get into some bad positions. When a Banner of Knights makes it to your rear arc, it’s going to be rough to get out of that situation. On the otherhand, a Reaver, with it’s better move and possible 360° shot can fend-off those Banners easier. On top of that it’s arm weapons are no joke either! Don’t discount it’s slightly smaller frame for being less dangerous as it’s larger cousin. 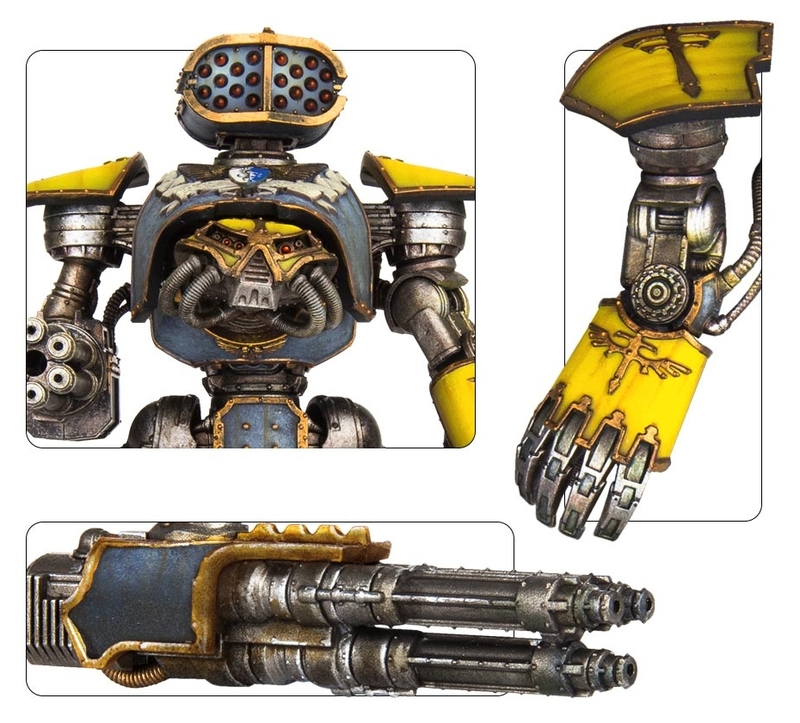 The Reaver is also coming with a few different weapon options from the look of the kit. You could go with two long-range options or two power fists (if you have two kits). I think that adds to the beauty of the Reaver as well – more versatility! Are you excited about the Reaver coming to the tabletop for Adeptus Titanicus? What plans do you have for it in your Titan Legion?